Do you reflect on life’s mysteries of life, death and suffering? Have you wondered about God’s plan? Have you searched for meaning in your life or felt the need for something more? Have you wanted to grow closer to God? Sister Bernadette Claps, CBS, provides spiritual direction and spiritual companionship. Spiritual Direction is open to individuals from various faiths, and is offered on retreats, private individual retreats, and on a personal, ongoing basis. She hold a Certificate in Spiritual Direction from Washington Theological Union. Sr. Bernie offers compassionate and confidential care to discuss where you are and where God desires you to be. Some people come on a regular basis, others come while on a brief stay at the Bon Secours Retreat and Conference Center. The first session is without cost or obligation. Please contact the Welcome Center at 410-442-3120 to make an appointment with Sr. Bernie or other spiritual directors who are available to meet at our Center. 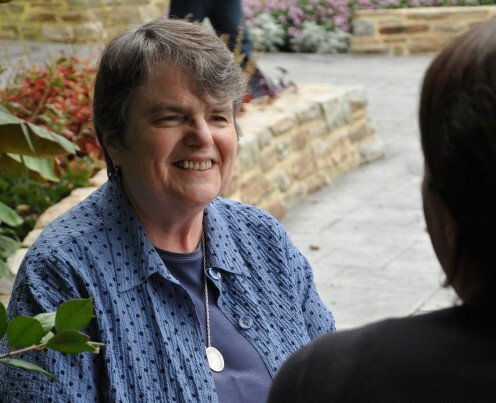 You can Learn more about Spiritual Direction and Retreat Ministry at the Sisters of Bon Secours Vocations Imagine A Sister’s Life website.